Wondershare Video Converter got over 500 reviews and recommendations from YouTube, PCWorld, Lifehack, PC-Tablet, Softonic, AndroidPIT, PCWELT, TopTenREVIEWS and more. Free Video Converter won't keep, modify or leak any information in your video file. We take your personal data and account seriously. You're always the only person who can access it. Free Video Converter provides you an easy, fast and legal way to convert video format, download & Record online video, edit video, burn DVD, stream video to your TV and more. You can finish the whole operation even with no tutorial. Merchant Billing Information: Advancer Limited. Merchant Billing Address: Third Floor207 Regent Street, London, W1B 3HH, UK. · What Are the Limits of Free Version? The free version of Free Video Converter is restricted to convert/burn video with watermark, and download video only from YouTube. 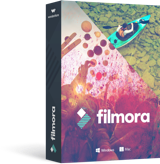 With the premium version, you can remove the watermark, and enjoy more advanced conversion and download features. · What Shall I Do If the Registration Code Says Invalid? You can make sure you install the right version of Free Video Converter first, then check if there’s trailing blank when entering the licensed Email and registration code (note they are all zeros in the registration code, no letter O). Please contact customer service if neither way works. · What If I Don’t Know My Device Compatible Format? Free Video Converter supports preset conversion. Just go to Output Format > Device to find the corresponding device model. Or search the supported format of your device online.